Watch all Power home games from the Western Stand, plus choose from Grand Final ticket options if we are a competing club. 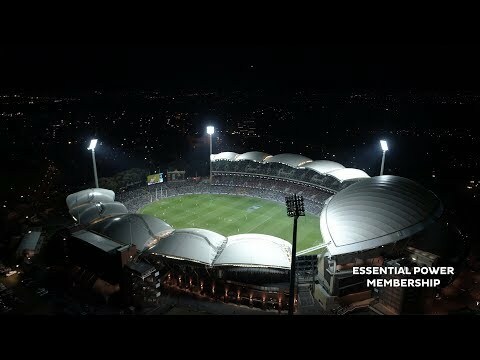 Essential Power membership provides access to open choice seating in the Western Stand. Seating is available on levels 1, 2, 3 and 4. Essential Power members can enjoy a different seating location each week. Platinum – guaranteed opportunity to purchase a Grand Final ticket should we be a competing club. Gold – ballot to purchase a Grand Final ticket should we be a competing club. Want to guarantee your seat? Essential Power members can book a reserved seat on a game-by-game basis through Ticketek (booking fees apply and seats are subject to availability). The Club encourages Essential Power members to book a reserved seat for high demand games.